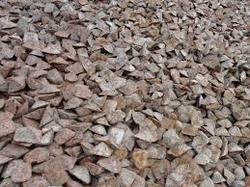 Meeting the requirements of the clients, we make available Pig Iron in different grades. As a famous firm, we make certain that the offered array by us is quality tested on a series of quality parameters. We guarantee that offered gamut reaches the client’s end within the promised time. As well, clients can buy the offered iron at very affordable prices from us. Steel Source has been a pioneer in bridging the gap between Steel & Metal producers and end users that require efficient services with desired quality material at an economical market price with the association of highly qualified experienced professionals and market leaders from the concerned Steel & Metal Industries. We believe our growth strategy in combination with our association ability to manage Steel & Metal procurement and inventories to meet our customer satisfaction by the way of our supportive services and reliability as a foundation for future growth and stability. Our service portfolio includes fulfilling the requirements of all type of Flat Rolled products &Long Products in Steel and Aluminum for our clients globally. Steel Source is the only single window service provider in India for the buyers & End user of Steel and Aluminum with a higher reliability than any similar Enterprise in this part of the world.